Ideal for industries such as printers, engineering workshops, bottling halls etc. 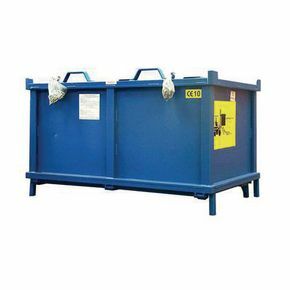 To empty simply lift the container over the side of the skip and lower onto the skip edge this automatically unlocks the base and then as you lift, the contents will discharge. When empty lower the container back onto the skip edge, this will lock the base and it is ready for re-use. N.B. 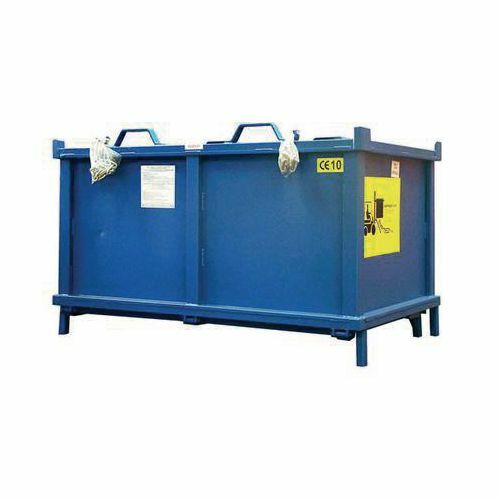 Purpose built for the safe and automatic discharge of waste such as scrap, rubble, glass, industrial waste etc.